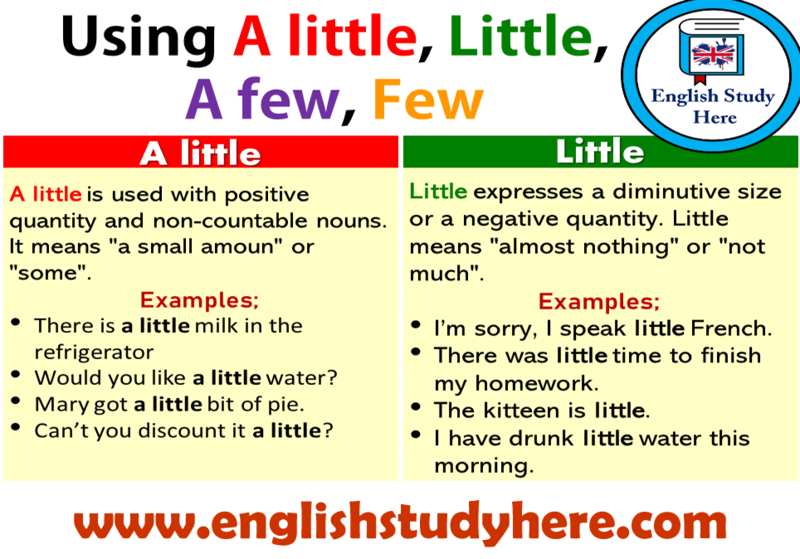 A little is used with positive quantity and non-countable nouns. It means “a small amoun” or “some”. Would you like a little water? Mary got a little bit of pie. Can’t you discount it a little? A few represents a positive quantity. It is used with plural nouns. It means some, a small amoun. He has a few good friends so he is happy. There are a few books on the shelf. We stayed a few days in Paris and visited the Eiffel Tower. Few represents a negative quantity or shortage. It is used with plural countable nouns. It means not many, not enough. I have got few friends in the city so I am lonely. They have got few cake on the table. He has few photos on Instagram. 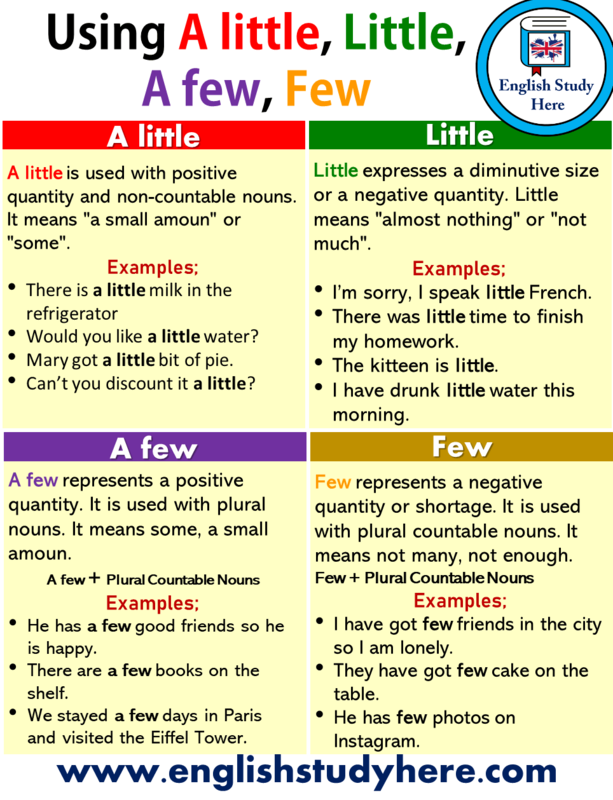 Little expresses a diminutive size or a negative quantity. Little means “almost nothing” or “not much”. I’m sorry, I speak little French. There was little time to finish my homework. I have drunk little water this morning.